If you work with designers — or have said never again — this should brighten your day. At Centerbrook Architects & Planners LLP in the Centerbrook section of Essex, Conn., architects and graphic artists were challenged to design and build a chair. It was a contest of sorts to see who could build the sturdiest, most comfortable chair, in the estimation of the firm’s partners. 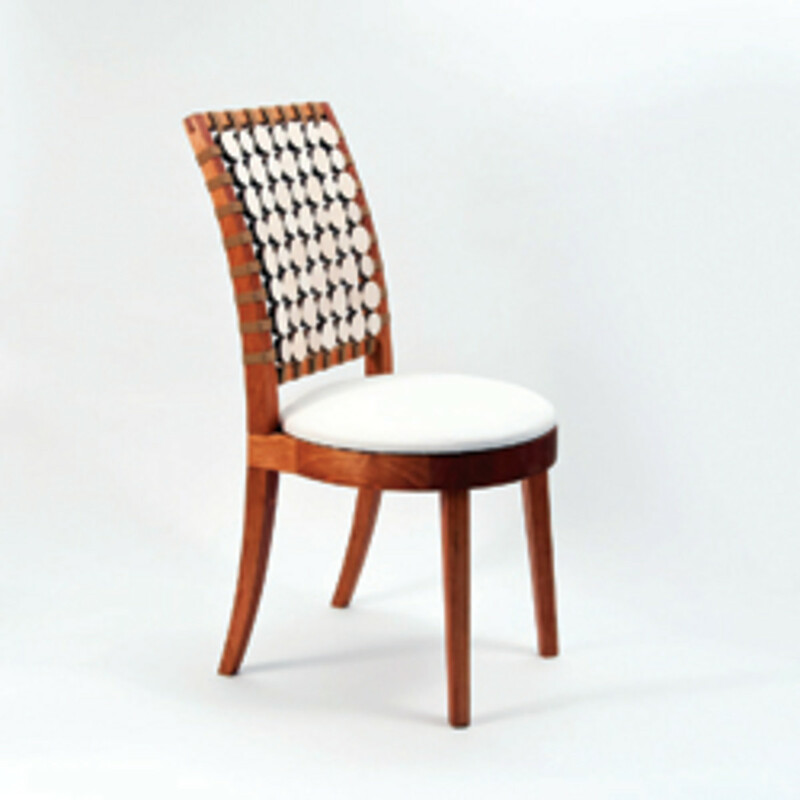 Not unexpectedly, the designs were easier to produce than the chairs, especially by a group of novice woodworkers. The contest is part on an ongoing workshop project at Centerbrook, where staff members receive hands-on instruction in a variety of building crafts, including woodworking, metal work, ceramics, resins, casting, fabrics and finishes. The designs were difficult to make, requiring complex joinery, sculptured shapes and, for the most part, a mixed-media approach. The participants were mentored, but mostly learned by trial and error during a 20-week build. Melissa Kops’ winning chair features a flexible disk back for lumbar support, though she learned firsthand that what’s drawn on paper doesn’t always work in the shop. Another participant, Derek Hayn, ended up taking a methodical and somewhat obsessive approach to chairmaking. These are his words, not mine. “From the start I knew I wanted straight lines and sharp angles paired with a gently curved seat and back. 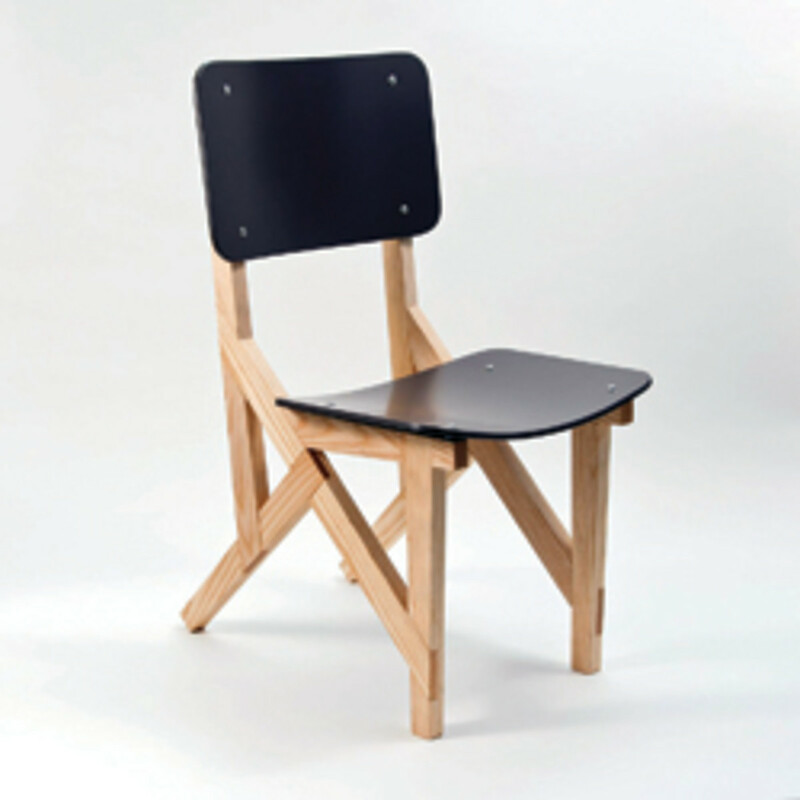 The resulting chair is sort of reminiscent of an old schoolhouse chair with a modern, impossibly interconnected frame. The designers will probably stick to their day jobs, but the hands-on experience will surely help them down the road, according to Rutan. To read the entire blog and see more pictures, visit http://centerbrook.com/blog.